The I.M. 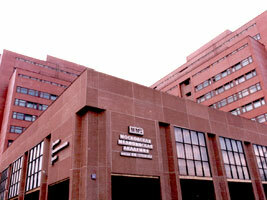 Sechenov Moscow Medical Academy is a state-run higher educational institution of the Russian Federation. The Academy is a direct legal successor of the medical faculty of Moscow University which opened in 1756. Today the Academy has become a major centre for training, certification and upgrading the skills of medical personnel and pharmacists. Academic studies are closely integrated with fundamental and applied research, providing highly professional medical assistance to the population and promoting the advances of medical science and pharmaceutics. The Academy is a charge of an academic methodological association of Russian medical institutions. It has 20 buildings reserved for studies, a clinical centre with 15 diverse clinics for 2700 patients, a research centre, a main library and laboratories. There are more than 120 chairs at the Academy staffed by 1200 highly qualified specialists of which 200 are Doctors of Sciences and more than 800 are Candidates of Sciences. The Academy is a multi-purpose centre where highly specialized medical aid is administered on the basis of clinics of internal diseases, therapeutics and occupational diseases, surgery, otolaringology, urology, dermatovenerology, nervous and childhood deceases, psychiatry, maxillofacial surgery. The Academy enjoys high international repute, testified by the high rating received in a UNESCO-held university competition where the Academy was rated second among the higher medial institutions of the world. what is the fee structure for bds for students from pakistan? let me know the cost fees for studying pharmacist undergraduate course, including the hostel fees.